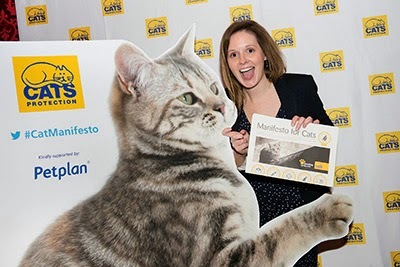 Last night we launched our Manifesto for Cats at a parliamentary afternoon tea reception in the House of Commons. The public were consulted on our 10 Manifesto priorities last May which, if delivered, would create a better world for cats. 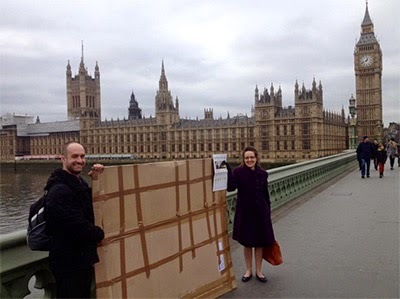 1pm: The team are carrying a giant cardboard cut-out of a kitten across the bridge on our way to the Houses of Parliament! 1.15pm: We start making our way through the security gates. 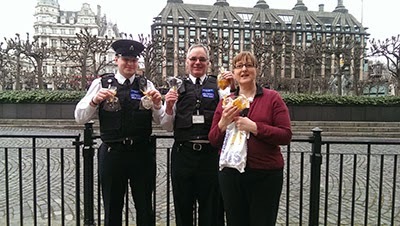 1.30pm: We get a cheeky snap of security guards with some of our handmade cat-themed iced biscuits! 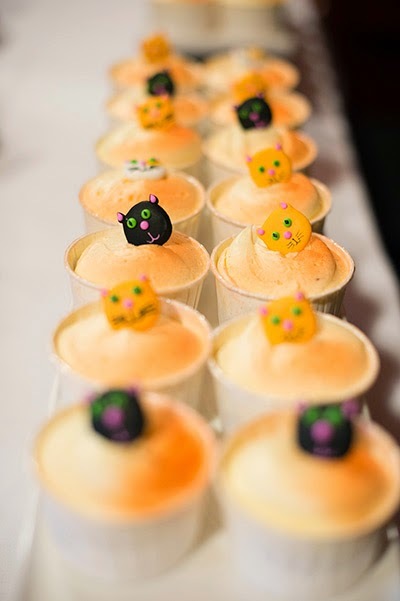 The cat-themed biscuits are a hit! 1.45pm: We have a sit down in the public café surrounded by all our equipment. Time for a cuppa and to check that we’ve got everything! 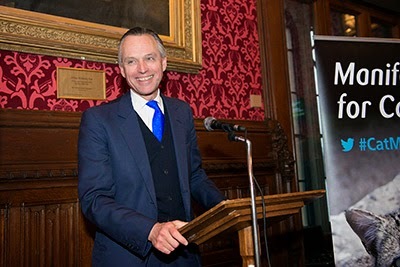 1.55pm: We spot TV vet Marc Abraham, Marisa Heath from the Associate Parliamentary Group for Animal Welfare (APGAW) and Vicky Craighill from the PDSA in the café. 3pm: We start making our way across to the Strangers' Dining Room. We’ve got a lot of boxes and cases to lug over! 3.15pm: We begin setting up the room. A platform is built for our huge cardboard kitten, which we’ll later be asking our guests to pose with to have their photo taken. Manifesto promotional banners are set up and TV monitors and sound equipment are tested. 3.35pm: Guests start arriving and queueing up outside the room. 4pm: We open the doors to all MPs and guests. Away we go! 4.15pm: Neil Parish MP and Angela Smith MP arrive and have their photos taken with Cats Protection’s CEO Peter Hepburn and Chair Heather McCann. 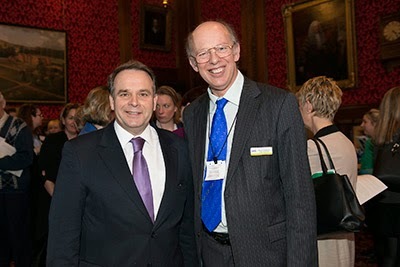 4.30pm: Our host Neil Parish MP offers a warm welcome to the reception. 4.35pm: We play a short Manifesto video featuring cat owners explaining why we need to speak up for cats. Watch the video here. 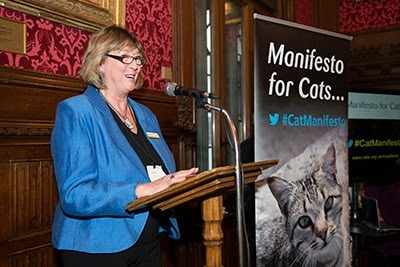 4.40pm: Angela Smith MP and Lord de Mauley offer responses to the video and the Manifesto for Cats. 4.52pm: Heather McCann invites everyone to network and have their photo with our giant kitten! 5.05pm: The room is bustling! 5.15pm: A queue begins to form by the six-foot cardboard kitten; it certainly is a talking point! 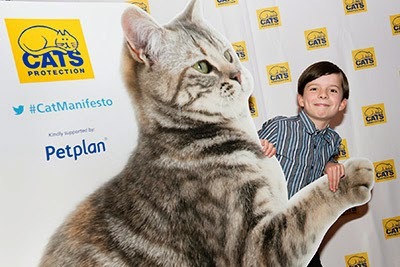 5.25pm: Felix Burrows, our young star in the Manifesto video has his photo taken with the cardboard kitten. 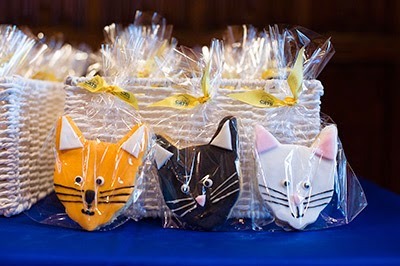 5.40pm: We’re handing out loads of goody bags containing our very popular cat-themed biscuits made in the kitchens at the National Cat Centre! 5.45pm: Behaviour Manager Nicky Trevorrow strokes the giant cardboard kitten’s chin while having her photo taken. 6pm: Guests start to vacate the room and the event ends. What a fantastic afternoon! We hope that the launch of the Manifesto for Cats can help to change outdated laws and policies to protect cats. 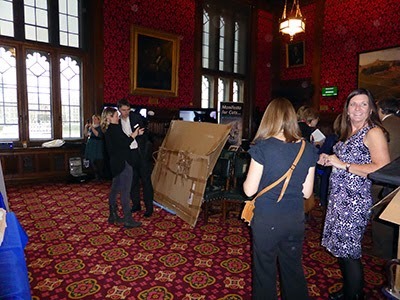 Our priorities include calls for tighter regulation of the licensing of air guns and banning the use of snares – both of which cause unimaginable pain and suffering, through injury and death, to cats on a daily basis. We're also calling for measures to control the breeding and sale of kittens to drive out unscrupulous breeders and prevent the growing number of unwanted cats. 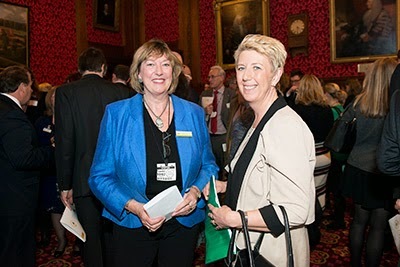 Photos of MPs and stakeholders who attended the launch are available to view on our Facebook page. Thanks, we're really pleased with how it went!